After 10 years serving so many lovely wedding clients in West Michigan and beyond, we have decided to no longer provide custom invitations. Yet we still wish to serve you in your invitation needs — we are excited to share our most favorite designers and invitation offerings below. We have personally worked with many of these companies and are confident in sending you their way! 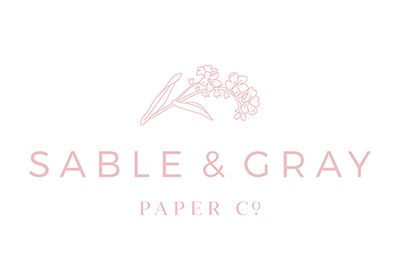 We will continue to provide DIY wedding supplies, such as cardstock, pockets, various diecut backers, envelopes, etc. We use SOHO-Paper as a resource for these offerings. Anything you find on their website, we can order for you in bulk quantities! We will also continue to provide holiday greetings, and custom gift options for our corporate clients.